What is the purpose of the bollard 100? 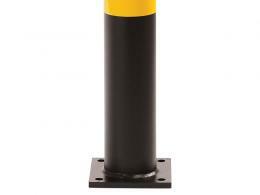 Our bollard 1000 is a great option if you seek an item that is bright, sturdy, well-crafted, and reliable. This item is made in Britain, because we believe in offering only the highest quality items possible to our customers. 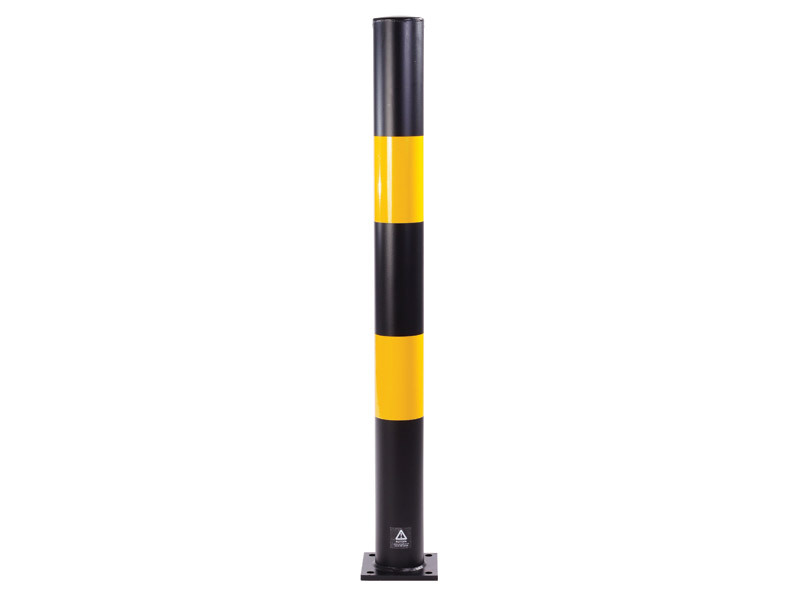 The bollard 1000 is a fixed parking post great for use in warehousing environments and it is sturdy enough that you can use it both indoors and outdoors. It is also a perfect choice for parking garages, parking lots, and any other area where you need to keep vehicles out of a certain area or away from a wall or other hazard. 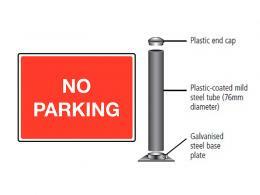 Multiples of this parking post can be used effectively as driveway security posts or car park bollards. This product is perfect for anyone who needs a great way to create a trusted barrier to keep out vehicles. It gives you the safety and stability you need at an affordable price. The lively yellow and rich black colour scheme creates a bold contrast that stands out and catches the eye, helping to increase safety and prevent accidents. The colours are reflective, so this item is still useful after dark. This product is constructed from galvanised mild steel. It is precisely 1m high, and you can get it in a range of diameters, from 90mm all the way up to 193mm. You can also choose between a flanged item and a ragged item, depending on whether you want to cast your item into concrete or bolt it down to the surface of your area. 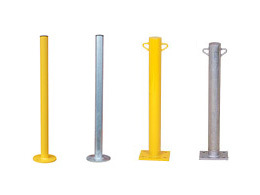 If you have any questions about the bollard 1000, feel free to contact us. If you find this item elsewhere at a lower price, let us know, and we will match it. On top of our already low prices, we offer free shipping for this item to help you save even more.